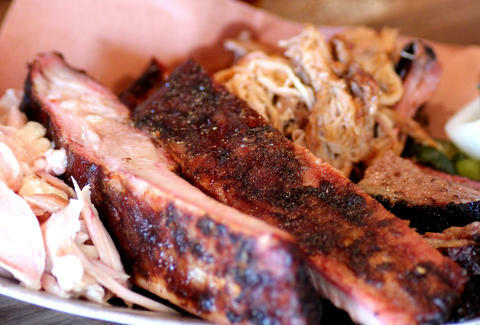 Win tickets to a party at Bloodhound for 4505 Meats & The Meat Hook! To celebrate the release of both of their new cookbooks, The Meat Hook and 4505 Meats are throwing a combined bash at Bloodhound tomorrow, and a ticket'll get you a copy of one of their books, a Suerte cocktail, and some let's-face-it-it's-kinda-stunning BBQ. Want in? Then you can either score tix here, or just Tweet THIS by noon today, because we have a pair of ‘em to give away for free to one lucky reader and a friend!